18-Jan-2019: Columbia University scientists, in collaboration with researchers from Harvard, have succeeded in developing a chemical process to convert visible light into infrared energy, allowing innocuous radiation to penetrate living tissue and other materials without the damage caused by high-intensity light exposure. Scientists have long tried to solve the problem of how to get visible light to penetrate skin and blood without damaging internal organs or healthy tissue. 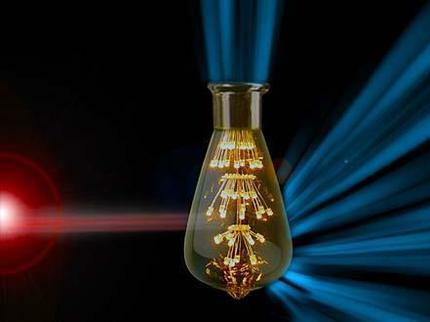 Photodynamic therapy (PDT), used to treat some cancers, employs a special drug, called a photosensitizer, that is triggered by light to produce a highly reactive form of oxygen that is able to kill or inhibit the growth of cancer cells. Current photodynamic therapy is limited to the treatment of localized or surface cancers. "This new technology could bring PDT into areas of the body that were previously inaccessible," Rovis said. "Rather than poisoning the entire body with a drug that causes the death of malignant cells and healthy cells, a nontoxic drug combined with infrared light could selectively target the tumor site and irradiate cancer cells." The researchers are currently testing photon-upconversion technologies in additional biological systems. "This opens up unprecedented opportunities to change the way light interacts with living organisms," Campos said. "In fact, right now we are employing upconversion techniques for tissue engineering and drug delivery."